Here are 4 ways you can fix this problem, ordered by likely effectiveness. You probably won’t need to try them all. Just work your way down the list until you find the solution that works for you. You’ll need to log in to the affected PC to try any of these fixes. 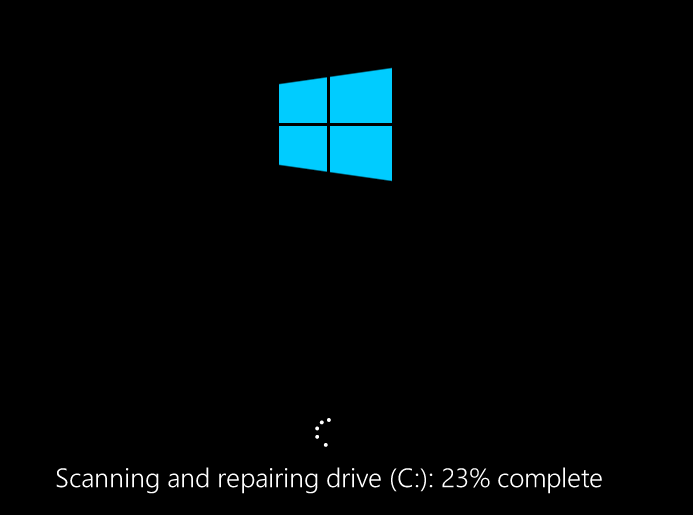 If you’re having trouble restarting your PC, try Option One in this post before you move onto these fixes. Most of the time, the System Service Exception error is caused by incompatible, faulty or outdated drivers. Don’t worry; it’s probably not something you did. Drivers can become a problem overnight – one day they’re working fine, the next, they’re causing a blue-screen. That’s because your computer is constantly updating its version of Windows, and the devices themselves routinely install new drivers. With all these changes, it’s only a matter of time until something fails or gets out of sync. 2) Run Driver Easy and click the Scan Now button. It will scan your computer and detect any problem drivers. 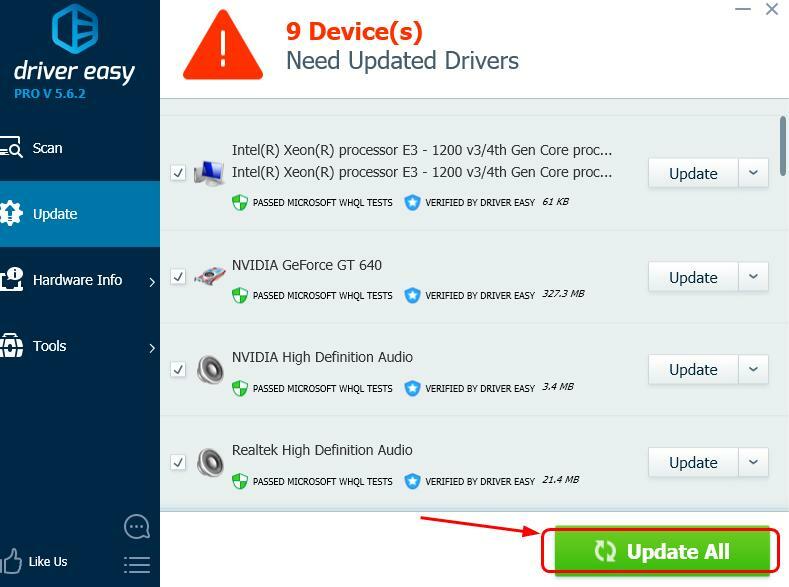 3) Click Update All to automatically download and install the correct version of all flagged drivers. 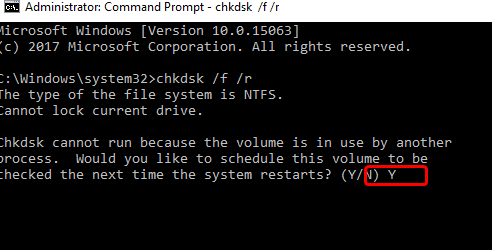 4) Restart your computer and see if the same problem is resolved. Note that the above procedure requires the Pro version of Driver Easy (don’t worry, it comes with a 30-day money-back guarantee – no questions asked). 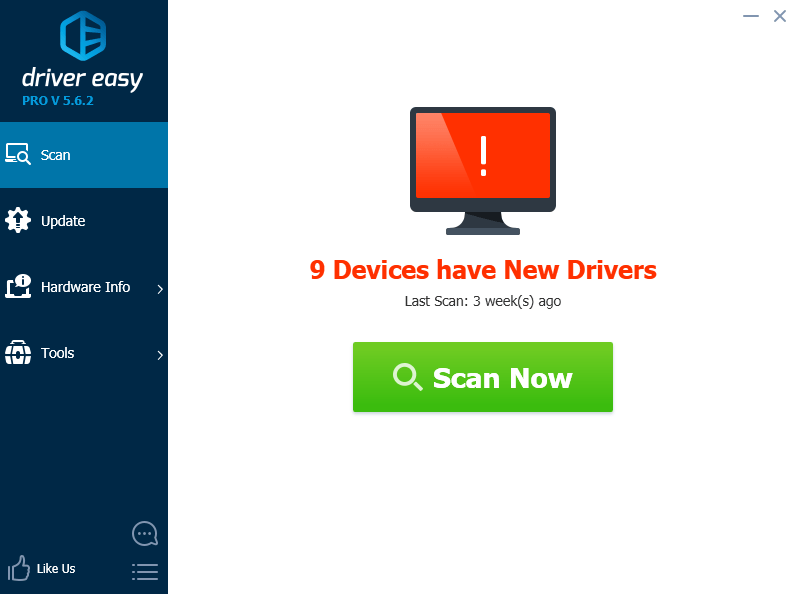 If you’d rather update your drivers manually, you can do this with the free version of Driver Easy, or you can do it by visiting the appropriate manufacturer websites for all your problem drivers, searching for the most recent correct drivers for your devices, then downloading and installing them. But be sure to choose the correct variant for your version of Windows; a single wrong driver can cause big problems. One of the causes of this blue screen error could be recent changes you’ve made to your system. If you’ve added new hardware or software to your system recently, remove them to see if the problem is fixed. Or check to see if any vendors have patches you can apply. 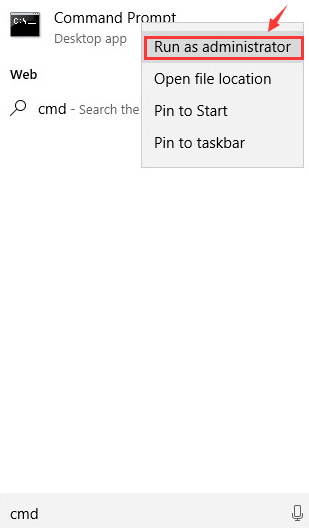 1) On your keyboard, press the Windows logo key and S at the same time, type cmd, then right-click Command Prompt and click Run as administrator. 4) Restart your PC. Wait for the scans to finish (it can take up to 15-20 minutes). 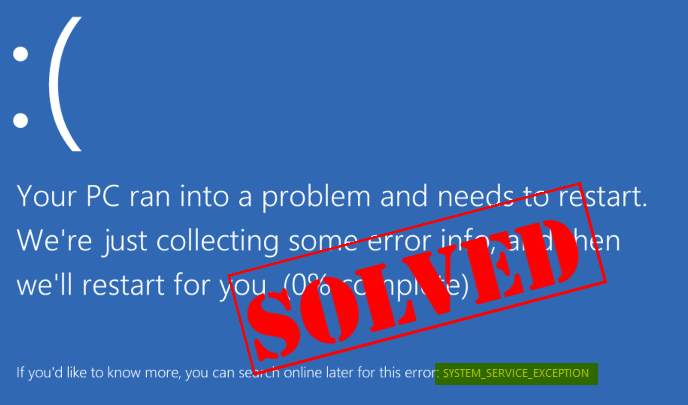 If you have an antivirus program other than Windows Defender on your PC, it may be causing the System Service Exception blue screen error. Be extremely careful about the websites you visit when you have no antivirus applications installed. You should leave Windows Defender on all the time.